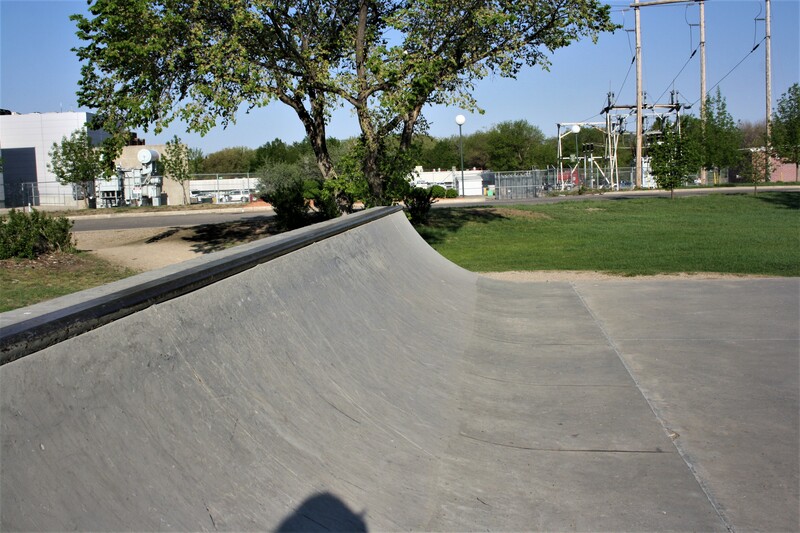 The difference between a skateboard park and a skate plaza is that the former typically has ramps, bowls, half-pipes and pyramids. 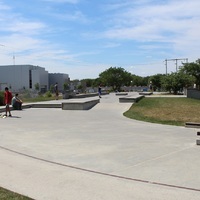 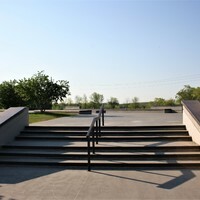 A skate plaza is designed for “street skating” by incorporating urban terrain elements such as benches, rails and ledges. 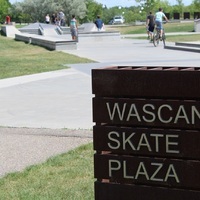 Through the use of landscaping and art, a skate plaza may resemble a town public square which allowed it to become a multi-use park which is aesthetically pleasing. 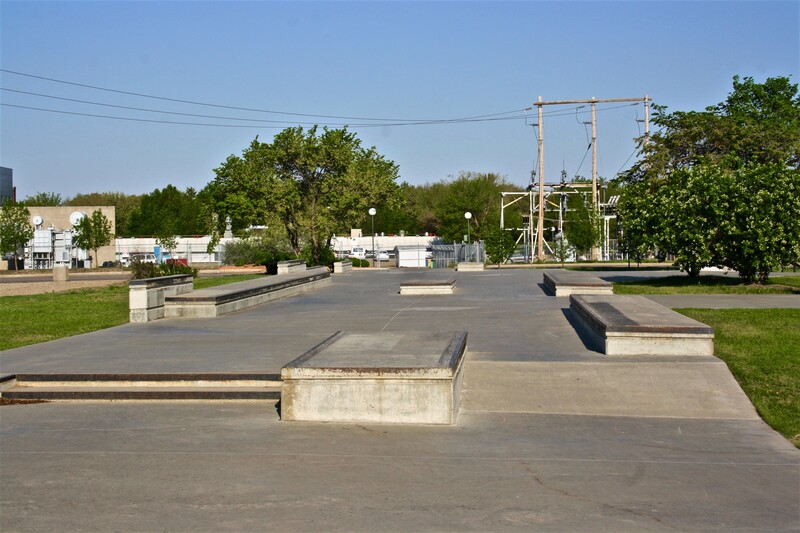 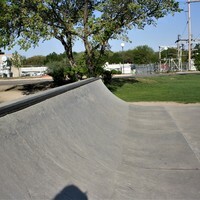 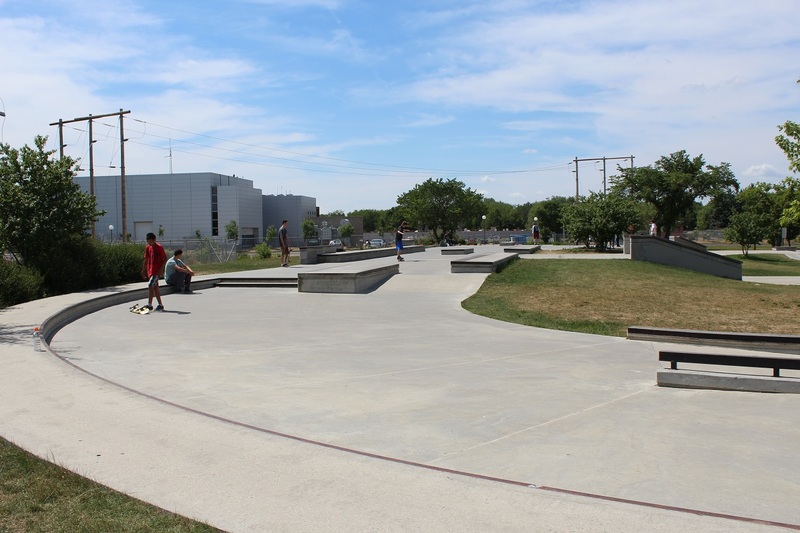 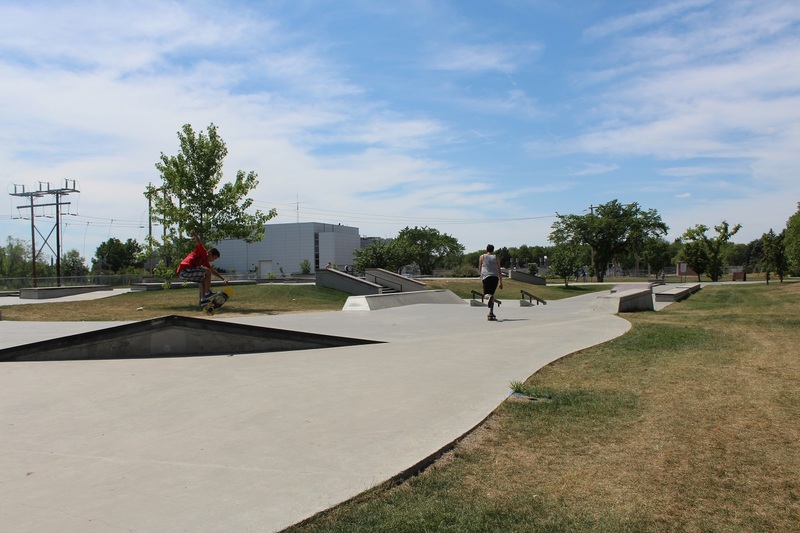 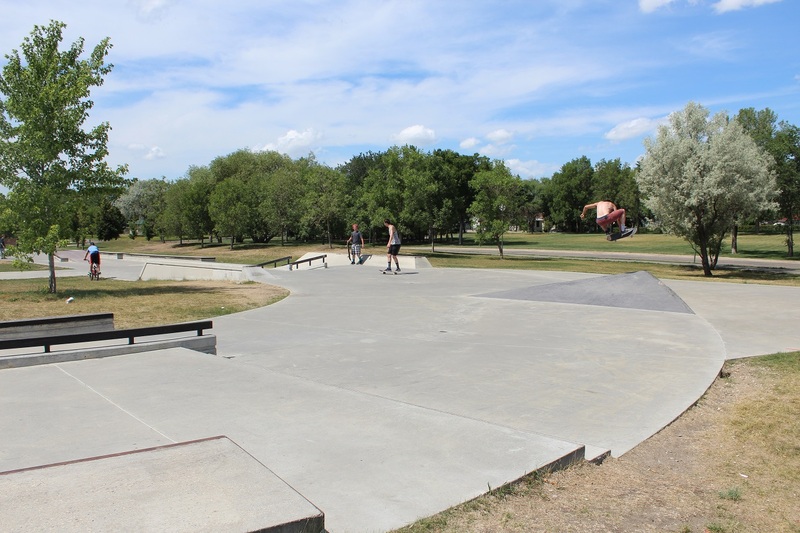 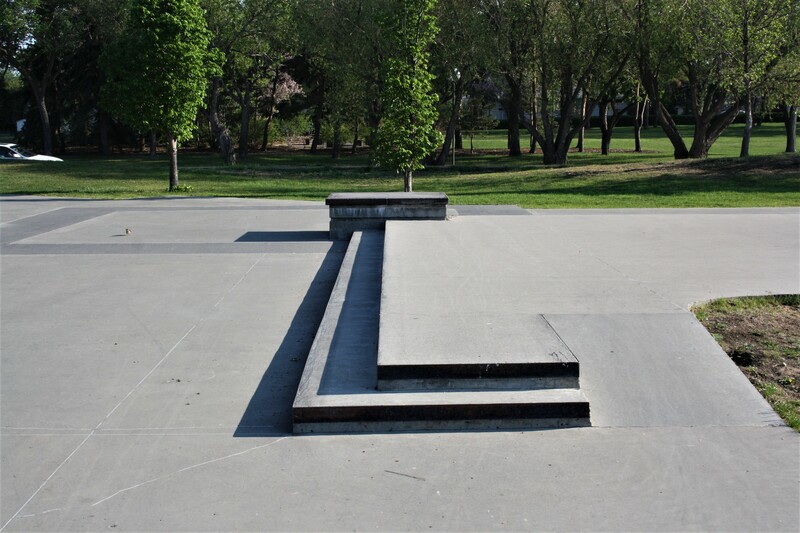 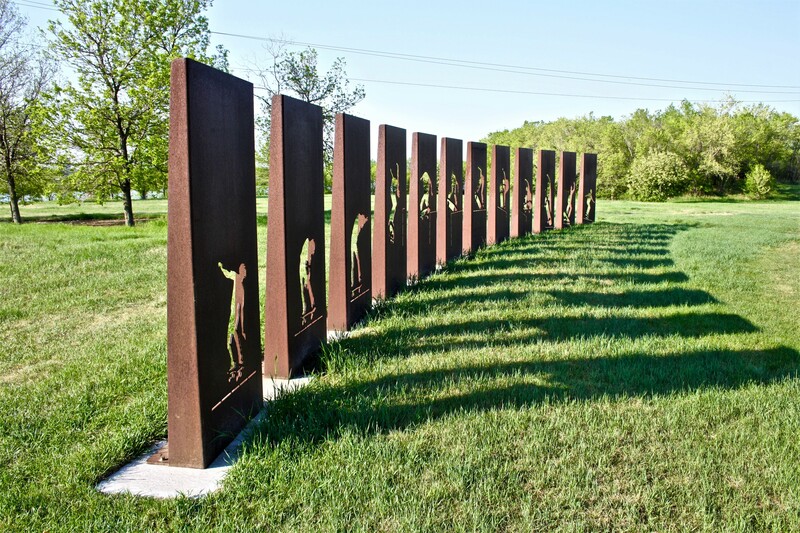 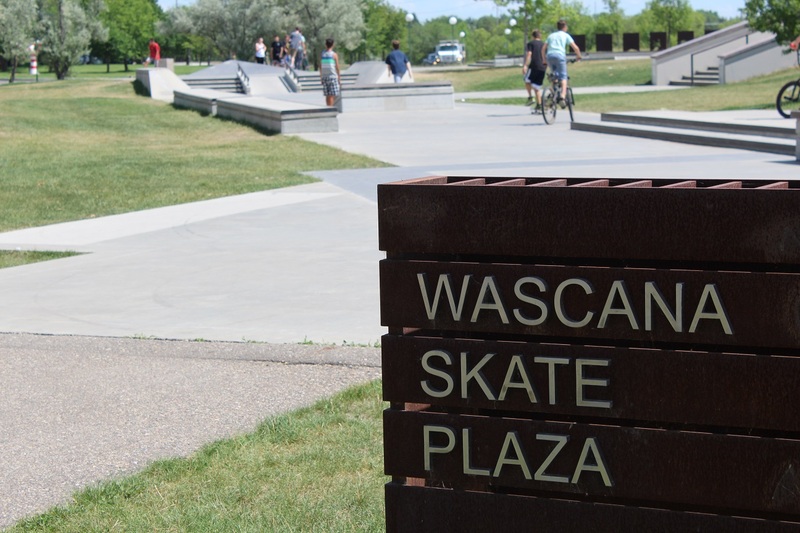 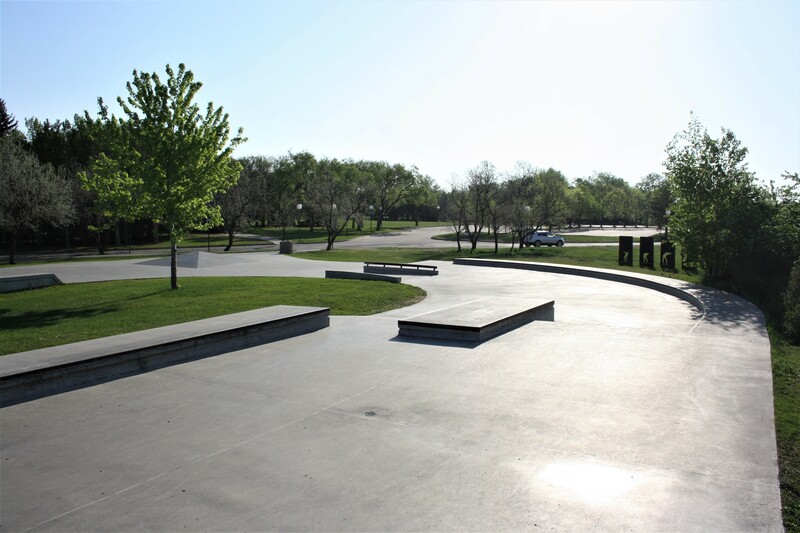 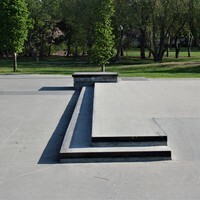 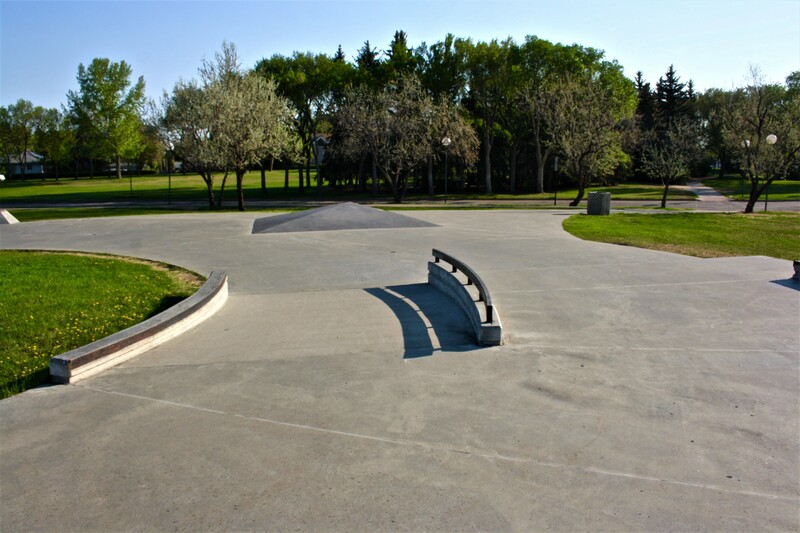 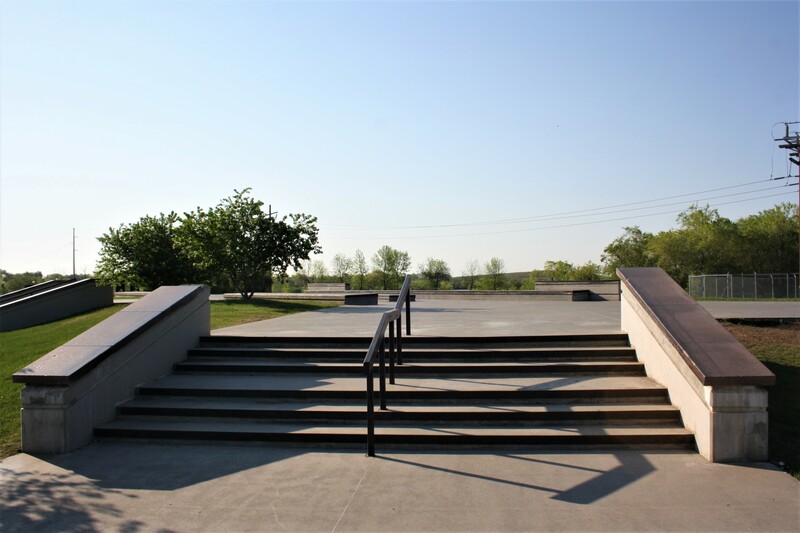 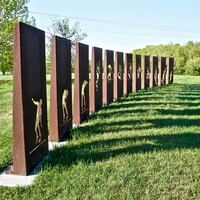 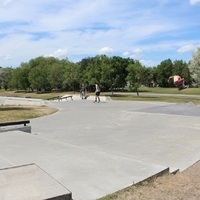 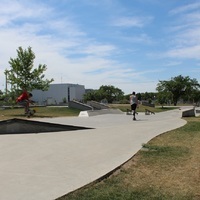 The Skate plaza is located across from Candy Cane Park, near the Saskatchewan Science Centre. 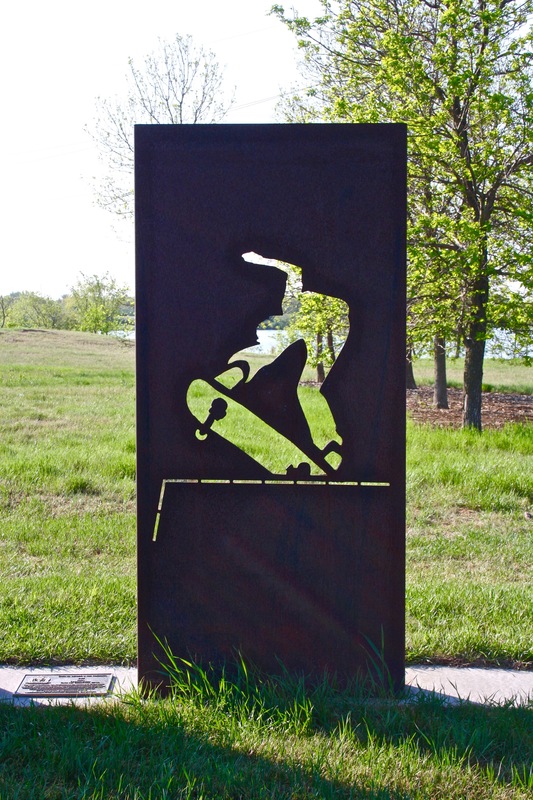 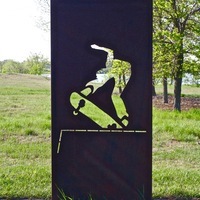 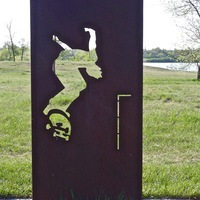 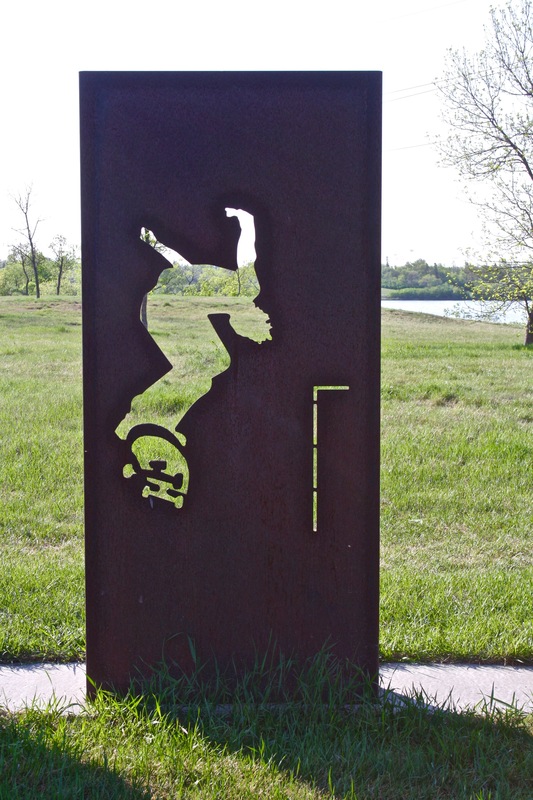 Also at the Skate Plaza is an art piece titled "Air" which was designed in 2009 by Canadian Artists Jen Hamilton and Chris St. Amand.